What do you look for in a holiday? Mine is sunshine, a lovely venue, easy access to local areas, good food, swimming pool, and most of all good customer service. Well we certainly found that last week when we went back to Lanzarote again for the second year running. Why? Because we could not fault the hotel we stayed at Hipotels Natura Palace in Playa Blanca. I could not fault the hotel on any level last year, and the same again this year. The customer service was second to none the moment we walk through the door to the day we left. On arrival the Reception staff were friendly, helpful and professional. A porter took our cases to our room which was really well laid out equipped with a fridge, large flat screened TV, table and chairs and the bathroom came with all the usual soaps, shampoos, tissues, hairdryer and other useful accessories. We had a sunny balcony that overlooked the beautiful swimming pools (2 large pools and one children’s pool) and the best bit there were plenty of sunbeds to go around. The food was exceptional and catered for everyone’s taste, you certainly wont go hungry whilst staying at the Natura Palace. The Maitre d” is attentive and very charming making you feel that you are the most important person when he is dealing with you, he remembered that we have been before which was very impressive seeing the amount of people who must pass through the restaurant every day, and the staff again charming and very helpful. There was a wonderful chief who made smoothies to order – they were just amazing. The dining room staff work extremely hard, often working the breakfast shift, the evening shift and then working in the bar until late. They worked hours but every single one always wore a smile and were always very attentive. The bar staff couldn’t do enough to help and got to know you very quickly, they would often have a joke or two despite the language barrier they always interracted with everyone. The rooms were cleaned every day and the maids always went out of their way to make you feel special. The hotel was immaculate the public areas inside and outside were kept spotless at all times. The grand staircase in the Main Reception area and the lower grouund lobby area. I can honestly say that I never seen a grumpy member of staff the whole time we were there, the amount of hours that the staff worked were long and not very sociable, working in the heat giving a 110%. Their customer service was excellent at all times. I can honestly say I have never witnessed so many staff giving such a great service. I am intrigued to know how their go about their customer care training. How they instigate the training and uphold it to the level that is being given. Do Hiptels hold in-house training? Does each department hold their own training or are the staff training as one? Are staff sent off site for customer care training. To give training is one thing, the hardest thing is ensuring that the training is maintained at all times. Whatever way they are doing it they certainly have it right. Well done to the Management and Staff at Natura Palace you should be very proud of yourself. We often take time to complain about a bad service, but very little of us complement a good one, so I would like to share with you a 5* customer experience. We recently had to make a trip to Middlesex as a family member has just gone through major heart surgery at Harefield Hospital. We had no reservation but the receptionist couldn’t have been any more helpful, and booking in at such an early time was no problem. What we thought would have been a ordinary “run of the mill” Inn turned out to be 5* accommodation rounded off with the best customer service we have come across in a long time. From the time we stepped through the front door the staff could not have been any more helpful, polite and extremely friendly. The Reception staff we extremely friendly and nothing was too much trouble, the cleaning staff could not have done enough for us, and for the restaurant staff well they just went out of their way to ensure that our dining experience was as best as it could get. Then there was the accommodation, oh wow it was just amazing. I can see why Premier Inn guarantee a good nights sleep – we certainly had that. The king size hypos bed was lush – and a good nights sleep we certainly had. Hard to believe that we were about 2 miles from Heathrow Airport, not a sound to be heard! We even had the most delightful pillows to lay our weary heads on! We found firm pillows on the bed and softer ones were also supplied in the room if needed then. We had a good supply of tea, coffee, drinking chocolate, water and biscuits and more if we wanted them. We just had to ask. After a hectic day visiting the patient we returned to have an evening meal. I can honestly say the restaurant was probably one of the best I have been in for a long while. The staff were very attentive, nothing too much trouble and we had two courses, a drink plus unlimited breakfast the next morning all for £22.99 each. The food was excellent. There was not one thing we could have found fault with. When we returned to our room we found the telly had a range of Freeview Channels – my hubby was delighted to say the least! The room was lovely and warm, with its own thermostat control panel. After a really good nights sleep we went down for breakfast. The choices we had were unbelievable and again, I think that this was the best breakfast that we have ever had. 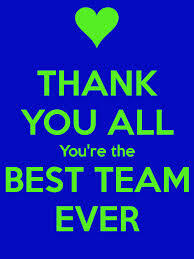 The staff were tremendous and couldn’t do enough for us. They put the hot food out little at a time so there was a constant supply, which was fresh and hot. And to add to all of the above, the checkout time was 12.00 midday. No rushing to book out of the room by 10.00 or 11.00 as some required. We were able to take our time, have another lovely cuppa before going on our way. I cannot praise our whole stay enough. From the staff, to the accommodation to the food – all perfect in every way. So, thank you Premier Inn for the lovely experience, and to the staff you have trained so well in giving such a great customer service. We would certainly recommend your Inn and we definitely will be coming back. Infection control starts the minute someone walks through the front door of your organisation. 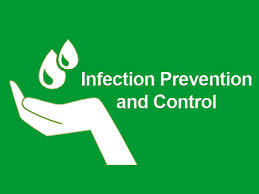 It is important that sufficient information, training and support is put in place for all Receptionists and frontline staff to help them deal with the various daily challenges involving infection control. Staff need to be reassured that the job that they are doing is done well and that they continue to be supported and motivated to provide a good service to your patients. Staff should be adequately trained to deal with infection control and this training should include cleaners and all Reception staff. Infection control training should take place on a regular basis for all staff. Do you include cleaners in your training? Some practices have outside agencies; if so, do they hold a copy of your Infection Control Policy? Does your organisation have a designated person for Infection Control? Is all your staff aware of whom this is? Do you have a report policy in place for identifying any risks of infection control – Reception should be included in this policy and know whom they should report to. Help identify any Infection Control issues within your organisation and work to resolve these. Act as a role model within your organisation. Ensure that Infection Control protocols are reviewed and updated on a regular basis – or delegate to an appropriate person. Wash hand basins with suitable taps, liquid soap dispensers, alcohol rubs, paper towels and waste bins are essential items for all clinical care areas. Whilst it is normally the responsibility of the cleaner to ensure that all of these areas are kept well stocked, some things might run out during the day. Therefore it is important that staff are made aware that these might need to be replenished throughout the day. I have lost count of the number of times I recently have gone into hospitals and surgeries finding empty alcohol rubs, and toilets without toilet tissue or paper hand towels. It simply is not good enough. Your Reception staff will be dealing with many Infection Control issues on a daily basis. They will be receiving samples at the desk from patients. They will be dealing with patients that could possible come into your organisation with an infectious rash and could be asked to help with spillage. It therefore is important to include them in protection against Hepatitis B. You should also offer your staff annual influenza immunisation. Any immunisations given to your staff should be recorded. I would recommend that you record those that declined to have any immunisations. A faeces sample inside a plastic sandwich bag. A urine sample inside an empty perfume bottle. These of course are not acceptable, for one it is not acceptable to expect the Receptionist (or nurse) to deal with this, and of course it is not in a sterile container. Each and every sample should include all the necessary information about the patient, failing to do so could result in the labs refusing to carry out the necessary tests, resulting in the patient having to do the test again and possibly delaying any treatment that may be required. All blood or potentially infected matter such as urine or faeces for lab testing should be treated as high risk and the necessary precautions taken. At the end of each day the Reception area should be left tidy. Often cleaners are instructed not to move paperwork or other items and work around them. Untidy desks therefore do not get cleaned as well as a clear desk. Ensure that there are disposable gloves available in Reception for the receiving of samples from patients. Any spillage in reception should be dealt with immediately and reported to the appropriate person. Magazines and books should be replaced on a regular basis. Toys made available for children should also be cleaned on a regular basis. Public telephones should be wiped at regular intervals. There should be a designated room for patients that might present themselves with a possible infectious disease i.e. chicken pox, measles etc. It is also important to inform the Doctor or Nurse that the patient is in the designated room, as often there is no tannoy facility to call patients in and often they could be missed. Ensure that there are sick bowls available in Reception as this will be the first place the patient will come to if feeling unwell. Ensure there are bins available in the waiting room, especially important for the disposal of used tissues, and possible a sign asking patient to place their used tissues in them. Receptionist play a big part in Infection Control, more than we might sometime realise and its vital that they get it right, and also get the support that they require to do their job well. Ensure that new staff have Infection Control as part of their induction training, and the necessary protocols are put in place for the Reception Area. Talk to your Receptionists in a team meeting, often they will identify an area that may not been covered with a protocol. They are the experts in their area – RECEPTION.